We love and hate sequelitis – film fans accuse studios of relying on sequels, but also clamor to see follow-ups to their favorite stories. Rather than putting something out right away just to make money, some studios and filmmakers take time to develop sequel ideas to ensure they’ll get it right. In some cases, that takes a lot longer than others. The Incredibles 2 is one of the most anticipated sequels we can think of. The first film was in theaters years before the current superhero boom, and nailed the Marvel formula before the MCU existed – and the end promised a showdown between a new villain and a family which finally embraced their nature. Thanks to the unexpectedly perfect chemistry between Will Smith and Tommy Lee Jones, Men in Black is one of the most popular franchises in sci-fi. (Outrageous action and wild special effects don’t hurt either.) Due to a long, strange, and difficult development process this third film took far longer to make than anyone expected. It proved to be worth the wait thanks to a heartwarming story and Josh Brolin’s stellar performance as a young Jones. The Star Wars franchise is on a one-per-year run now, but for most of its history the series took long breaks. There were 16 years between Return of the Jedi and The Phantom Menace, so the ten-year span between the end of the prequels and the debut of The Force Awakens passed by like a nice summer day. The Force Awakens was exactly the revival needed to draw audiences and critics back to the series. Set 30 years after Return of the Jedi, the film featured great work from the ensemble cast, stylish direction from J.J. Abrams, and a blend of the new and familiar that was exactly what Star Wars needed. It was Pixar’s debut theatrical feature in 1995, and it has since been seen as one of the greatest animated films in history, and its two sequels have also helped escalate it to what many consider the greatest animated series in history. 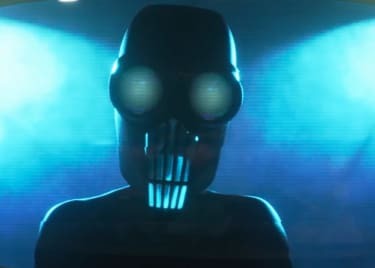 The third film, initially planned as the conclusion until the announcement in 2017 that a fourth would be released, didn’t hit theaters until 11 years after its predecessor and it’s been one of the most acclaimed animated films ever. Thanks to its ensemble voice cast’s performances, stellar animation and more somber tone befitting of a finale, it became the second of Pixar’s films to earn both a Best Animated Feature and Best Picture nomination at the Oscars, only winning the latter while also being nominated for three other awards, winning a second for Best Original Song. The Barbershop series has been one that, while drawing in audiences every time, has also been one of very ranged critical opinions, with the first earning very strong reviews while the second still earned generally positive reviews, they were much lower than the first. After an unsuccessful spin-off and TV adaptation, the franchise seemed dead until the release of The Next Cut 12 years later and reviving it in a major way, earning the highest reviews of the series and becoming a box office success. When Pixar released Finding Nemo in 2003, audiences fell in love with ever aspect including the short-term memory regal blue tang Dory, who was unforgettable even if she couldn’t remember. After 13 years of teasing a potential sequel, Pixar released a sequel/spinoff giving Dory her own adventure as she searched for the one thing she definitely remembered losing: her parents. The result was a major critical and commercial success, setting the record for the biggest opening and highest-grossing animated film in America and critics praising it for its beautiful animation, smart humor, surprising originality and heartwarming story. Though the franchise began to peter out with each sequel, the Jurassic Park franchise was once a mammoth series for both Universal Pictures and director Steven Spielberg. 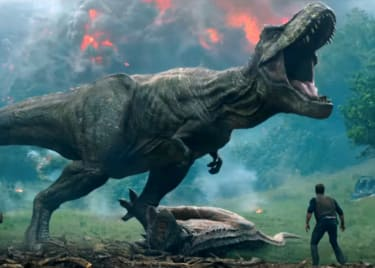 After taking a near 15 year gap to properly develop the next entry, the studio returned with Jurassic World, a reboot of sorts that would somewhat ignore the events of the sequels. The result was a thrilling return to form for the franchise that earned generally positive reviews from critics and audiences and was a massive financial hit, setting the record at the time for the highest-grossing opening weekend for a film with over $500 million earned and sitting as the fourth highest-grossing film of all time with roughly $1.672 billion globally. “Yo Adrian, I did it!” The original Rocky film was rife with inspirational moments, songs and quotes, but as the sequels dragged on, they became more scorned and mocked by both critics and audiences, especially after the fifth and initially final entry in the franchise. Stallone chose to return to the character one more time for a proper conclusion to the franchise 16 years later and, taking what made the first so great, wrote a script that paralleled his real life. Sure enough, it paid off, resulting in a surprise box office hit and earning very positive reviews from critics and audiences, signaling a triumphant return for the once underdog boxer. You might be wondering why after all of these critically-acclaimed long-awaited sequels the fourth entry of Rambo would suddenly appear on this list. The answer is simple: the 2008 installment was an action-packed thrill ride that was exactly what the franchise needed. After a wildly acclaimed first film, the franchise turned into cheesy action films in which the titular hero saved the day, but this entry took a more grounded approach to his heroism and the people he has to save. It earned generally stronger reviews from both critics and audiences, namely for Stallone’s nuanced performance in the role 20 years after his previous outing, and was a strong box office and home media success. The film franchise following the titular private detective is credited as being one of the first and most important entries into the blaxploitation genre and after two sequels not nearly as well received as the debut entry, the franchise went dormant for nearly 30 years. Then came the 2000 film of the same name, following the nephew of the original P.I. who shares the same name as his uncle as he works to solve the racially charged murder by a real estate tycoon’s son. While it didn’t receive nearly as high praise as the first film from critics or audiences, it did still earn positive reviews for its vintage feel and Jackson’s charismatic performance in the lead role. 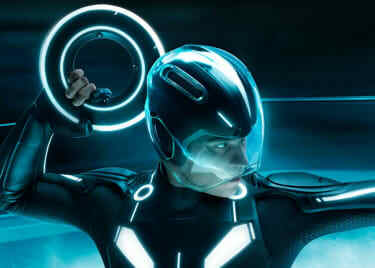 Sometimes a film’s cult following is exactly what it needs to earn it a sequel, and Tron: Legacy was a prime example of this happening. The sequel, released 28 years after the original, took audiences into a new version of The Grid, a virtual reality where Sam Flynn, son of the famed software engineer from the first film, must rescue his father after a 20-year disappearance and prevent a malevolent program from invading the real world. It wasn’t nearly as critically successful as the first, with more criticism aimed at its story than its predecessor, but was a much larger box office success than the first film and amassed a larger fan following thanks to its incredible visual effects and soundtrack from electronic duo Daft Punk. Action franchises are one of the most consistent to earn sequels from their studios, as fans love coming back to see their heroes blow something up and save the day again. One franchise, however, not only delivered on the action-packed promise of a sequel, but also delivered a thoroughly captivating and intelligent fourth installment 30 years in the making. Mad Max: Fury Road followed the titular protagonist as he joins forces with Imperator Furiosa to guide a group of women a cult leader has claimed as his wives to safety in post-apocalyptic Australia. The film earned rave reviews from critics, the second highest of the franchise, for its stylish direction, explosive and colorful action sequences and performances from its cast, with many regarding it as one of the best action films of all time. As is the case with the galaxy far, far away, the first Blade Runner has been hailed by many critics as one of the most important and influential films in the science fiction genre, and with a story that seemed wrapped up, a sequel seemed unnecessary. However, those worries were put to bed as the long-awaited sequel proved a sequel could stand on its own and deliver a film that can stand on even ground, if not higher, than its predecessor. Delivering a story just as complex and captivating as the first, while also standing on its own through the stellar direction from Villenueve and colorful visual effects, with many calling it one of the best sequels ever made. The Incredibles 2 opens on June 15, 2018.